The blues was the devil's music before it gave birth to rock and roll if you believe the history books and legends but there have been a few brave souls who forged a path that unites the blues and the gospel despite the prevailing wisdom. 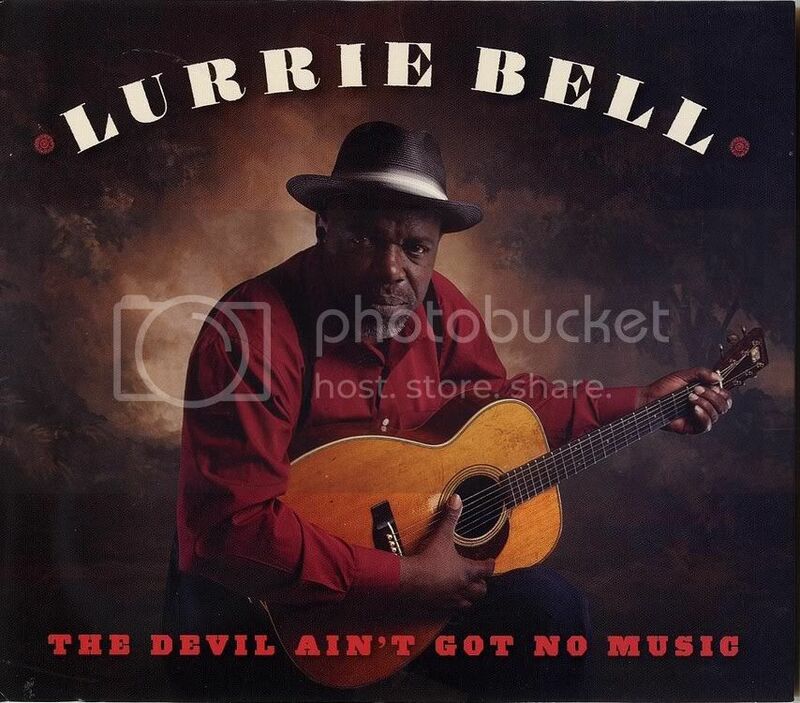 National Treasure Lurrie Bell has added himself to that list of the brave with his soulful, stirring new record The Devil Ain't Got No Music. The title track throws down the gauntlet and proclaims to take back from the devil one more thing over which he might have declared dominion. What makes this album special is not the veracity of Bell's faith in God but his unwavering and fervent belief is what fuels the passion that makes listening to this record a sacred experience for believers and non-believers alike. I like a good, disposable pop song despite allusions occasionally made to the contrary but I need music for more than a good beat. It is my empathetic companion and a source of intellectual, philosophical, and spiritual nourishment and you can't get there without a substantive core, be it the singer, song, or both. A colleague once mused most Contemporary Christian music leaves him cold because it strikes him as having no more depth than "Praise Jesus, let's go to the mall." He may not share Bell's faith but he won't find anything hollow or shallow on The Devil Ain't Got No Music because Bell isn't singing about someone else's troubles nor is he serving up a collection of derivative 12-bar blues compositions as an excuse to wow you with his guitar mastery. These may not be his songs but they are his story, his anchor, and there is not a false note to be heard on this record. Much of the album centers on Lurrie and his acoustic guitar but he is joined a couple tracks by the great Joe Louis Walker, whose latest record Hellfire also speaks of matters of faith, Billy Branch, Kenny "Beedy Eyes" Smith, and Matthew Skoller. "Swing Low" is given the kind of groove those of you who ever sang this song in church probably never knew it could and passionately pleas for cleansing and restoration in "Search Me Lord." He warns us as a man who has faced the demons of temptation of the dangers of this world on "Don't Let The Devil Ride." There is supernatural power in the performance of Tom Waits' "Way Down In The Hole" that will make your hair stand on end. I recently discovered a song I hope might be the last song I hear before I leave this world courtesy of Eric Bibb and I've added a song to what might be the longest, greatest funeral playlist in history. It's kind of a shame I won't be there for it but you can add Bell's version of "Peace In The Valley" to that list. "Peace" is a famous, wonderful composition but it becomes something far deeper when Bell sings it. Few of us author our endings but I hope Eric Bibb's "Sitting In A Hotel Room" is my benediction and Bell's "Peace In The Valley" is my invocation. The one thing fans of National Treasure Lurrie Bell might miss is his scintillating guitar work and it's true, there's not as much of it to sink your teeth into as you might like but album closer "Death Don't Have No Mercy" serves up just enough to remind us what a complete bluesman he is. Satan, you got served. Thank God for National Treasure Lurrie Bell.